The lightweight trellis frame is made of high-grade chromium-molybdenum steel. It has been developed to ensure precise handling and instil complete confidence in the rider. Detailed feedback is transmitted to the rider thanks to precisely calculated torsional rigidity and longitudinal flex. The single overhead cam, liquid cooled, single cylinder engine features the latest in design and electronic technology. 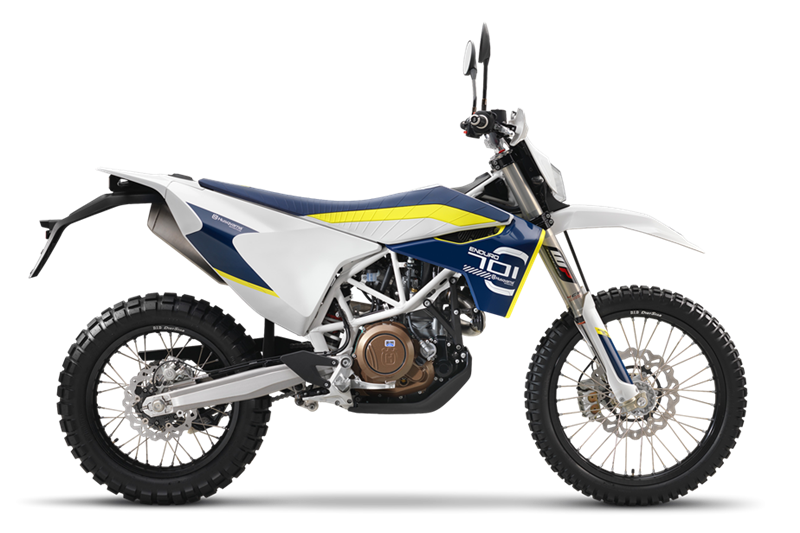 An outstanding maximum power output of 49 kW (67 hp) at 7,000 rpm and torque of 67 Nm at 6,500 rpm leave the rider in no doubt of the performance packed inside this lightweight unit. The compact design of the single overhead cam cylinder head features 40 mm steel intake valves weighing just 48 g thanks to their hollow stem design, and 34 mm exhaust valves weighing 46.5 g. Ignition is via a double spark plug layout, each of which has an individual ignition timing control for optimal fuel combustion in the large bore combustion chamber. Refined engine behaviour and optimum power delivery are the results. The Keihin electronic fuel injection system features a 46 mm throttle body with no mechanical linkage to the throttle grip. As the rider twists the throttle open or closed, the throttle valve is electronically controlled by the engine management system (EMS). The EMS continuously compares engine parameters with data from sensors, and adjusts the throttle valve accordingly, resulting in perfect power delivery and throttle response. A lightweight 6 speed gearbox with smooth and precise shifting gives riders perfect control and confidence even in extreme conditions. Three engine maps are available and can be selected via a switch under the seat. Riders can choose between "Standard", "Soft" and "Advanced" engine setups according to the riding conditions.